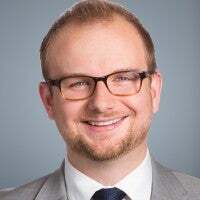 Jason Snead is a senior policy analyst in The Heritage Foundation's Edwin Meese III Center for Legal and Judicial Studies. Read his research. Voter fraud is an ongoing problem in America. For those who doubt, look no further than a new case out of New Jersey. On Thursday, federal officials charged a New Jersey woman with “promoting a voter bribery scheme.” Lizaida Camis allegedly offered Hoboken voters $50 in exchange for applying to receive mail-in ballots, and then casting them in favor of candidates for whom Camis worked. Camis’ alleged fraud took place in 2013, but the filing of charges offers a timely reminder of the pressing need to ensure the integrity of our elections. According to the complaint against her, Camis approached at least three voters with her offer of money for votes. 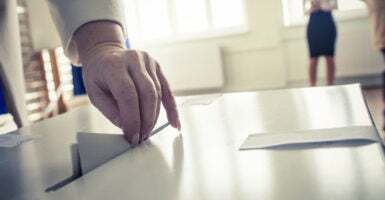 New Jersey law permits mail-in voting, provided that voters complete an application and submit it to county officials. The U.S. Attorney’s Office for the District of New Jersey concluded that Camis brought those applications to voters and then delivered the completed forms to the county clerk’s office. Camis went to the voters’ homes after they received their mail-in ballots, in some cases explicitly instructed them to vote for specific candidates, and then collected the ballots. Camis then told the voters they could pick up a $50 check from the Hoboken office of a company that, per the complaint, “purportedly provided payroll services” to local campaigns. Federal investigators examined bank records, which revealed that the three voters cited in the complaint all received checks. None worked for any campaigns that year. It should be noted that Camis has not been convicted of any crime, and is therefore entitled to the presumption of innocence. Nevertheless, Bhalla’s critique is spot on: Election fraud damages the public’s faith in the democratic process, and mail-in and absentee voting are particularly easy avenues to achieving fraudsters’ illicit goals. The evidence certainly bears that out, and Camis’ alleged fraud is far from the first effort to bribe, coerce, or intimidate voters into casting absentee ballots for specific candidates or to support particular causes. For example, Ben Cooper, the former mayor of Appalachia, Virginia, and 14 co-conspirators went to prison in 2004 for the largest voter fraud conspiracy in the state’s history. Cooper and his accomplices traded beer, cigarettes, and pork rinds for votes. They also stole absentee ballots out of the mail. Eight years later another former mayor, Ruth Robinson, attempted to rig her own re-election in Martin, Kentucky. Robinson and several family members targeted poor and disabled residents in particular, threatening voters who lived in public housing or in properties Robinson owned with eviction if they did not sign absentee ballots Robinson had already filled out. The cabal was convicted in 2014, and Robinson was sentenced to 90 months’ imprisonment. These are just two cases from The Heritage Foundation’s election fraud database. The database contains more than 1,140 other proven instances of fraud, which have taken place in nearly every state and impacted elections at all levels of government. As alarming a figure as 1,140 is, it may be the tip of the iceberg. The real scope of voter fraud in American elections is unknown, and likely far larger. Unfortunately, getting to the bottom of that question is not so easy. Activists and politicians on the left deny, in the face of overwhelming evidence, that voter fraud even occurs. Thanks to their hyperbolic rhetoric falsely claiming that election integrity measures are secretly about voter suppression, reasonable measures like voter identification laws have been transformed into highly contentious, partisan issues. As a result, many states do not have in place the commonsense policies needed to secure our elections against fraud. They even object to something as mundane as states removing voter registrations that are outdated or wrong. The Pew Center on the States estimated in 2012 that 24 million voter registrations, one out of every eight, were inaccurate—a serious threat to election integrity. Fortunately, this year the Supreme Court rightly affirmed that states can indeed clean up their voter rolls—a major win for election integrity, for voters, and for common sense. Activists can bury their heads in the sand if they want, but voters headed to the polls deserve better. Americans should be able to cast a ballot certain in the knowledge that their vote will count, and that the results will accurately reflect the will of lawful voters. When election fraud occurs—and particularly when it happens because lawmakers and elections officials have shirked their responsibility to properly police elections—it tarnishes the democratic process itself. That’s something no voter should tolerate.